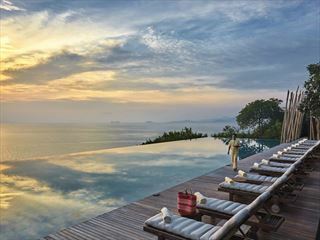 For a special, indulgent holiday, we suggest a holiday twinning a few days in the cool, contemporary Bangkok hotel - the Tower Club at lebua, followed by a relaxing beach stay at the barefoot luxury resort of Six Senses Samui. 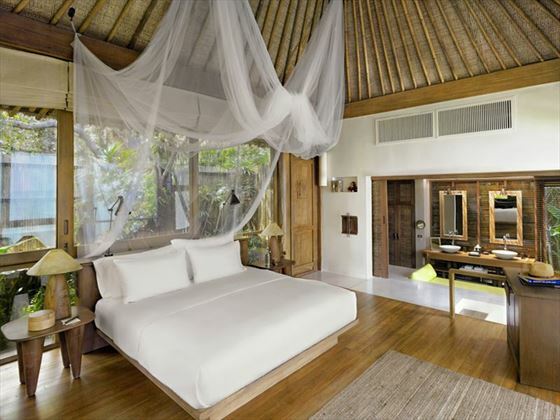 Both hotels offer traditional Thai hospitality in a truly luxurious setting. 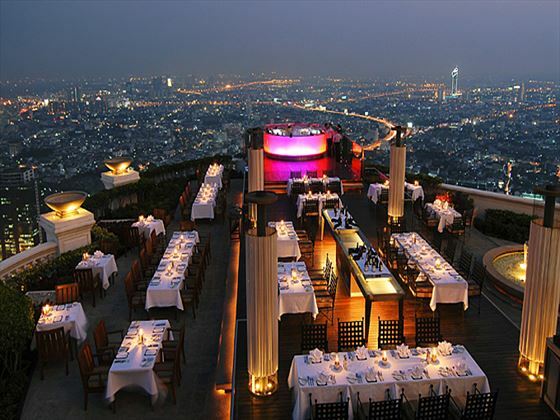 We can change this itinerary to suit you - perhaps you would prefer to stay in the iconic Peninsula Hotel, which is rumoured to serve the best Pad Thai in Bangkok. Or you might want to select a different beach retreat - perhaps Six Senses Yao Noi, which is hidden away on a tiny island between Phuket and Krabi. 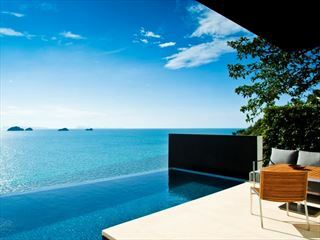 Or you could extend your holiday, adding another beautiful beach resort such as Rayavadee in Krabi or Keemala in Phuket. 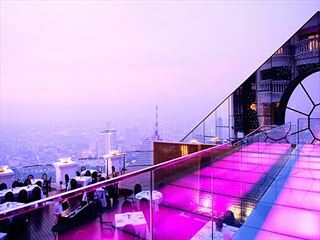 Begin with two nights at the fabulous Tower Club at lebua. With a great range of suites to choose from, several fine dining restaurants and a stunning roof top bar, this hotel is one of our favourites in Bangkok. It's centrally located and close to the river. And the pier to catch the boat to Asiatique The Riverfront, a great place to go in the evening for shopping and dining, is just a short walk away. Take a short flight from Bangkok to Koh Samui, it's time to take a deep breath and relax on this tropical island getaway. 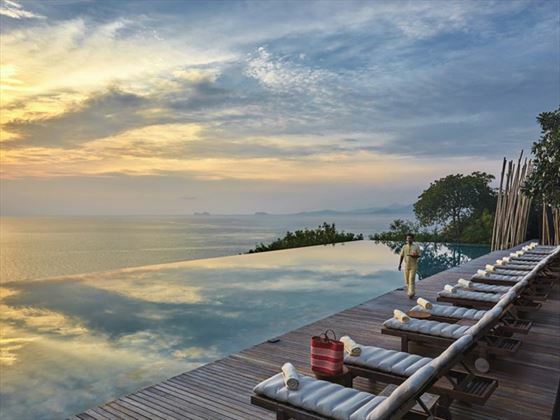 Six Senses Samui is on the northern-most tip of the island, so you really feel like you're tucked away from the world and ready to enjoy the true barefoot luxury. 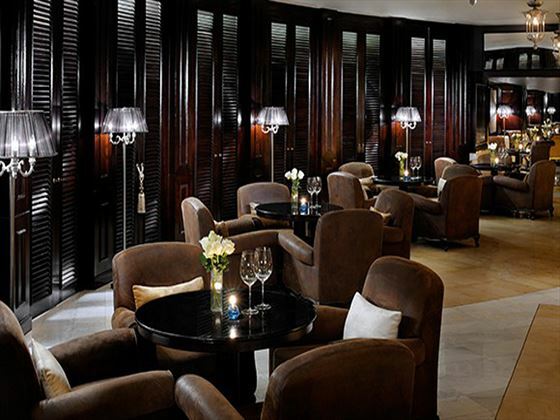 The service is attentive, but the atmosphere is informal and relaxed. 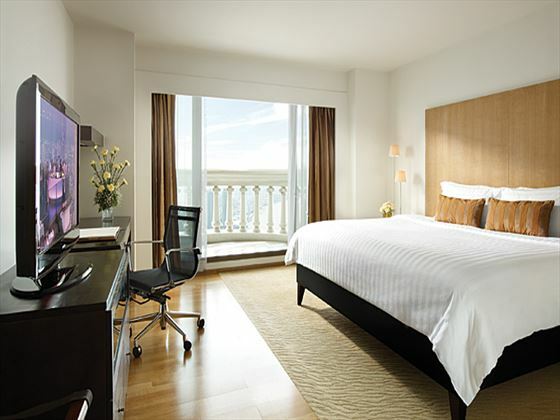 The rooms are beautifully designed and the last word in comfort but have simple decor and a relaxed ambiance. Please note this a recommended itinerary based on these luxury resorts, if you wish to stay for longer please enquire for details. The resort is a gorgeous collection of villas set on a twenty acre gently sloping estate where the design maximises the guest’s views at every opportunity. 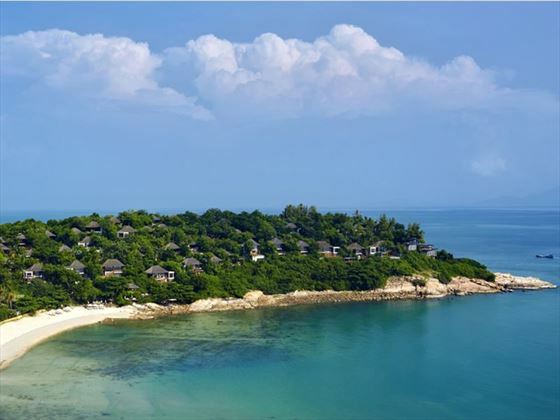 Deliberately set on the tip of the headland facing out to sea, you could be a million miles from the bustling towns of Koh Samui enjoying your own piece of island paradise. (Although if you wish to explore further afield you are actually not that far from the action and this is a very easy to reach destination). 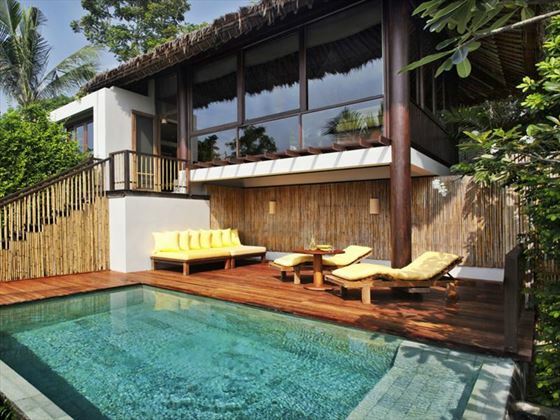 Formally known as the Hideaway, the resort is built for romance; meals are an experience under an enormous starry sky and your villa is a personal cocoon located amongst natural vegetation which ensures maximum privacy, with bathtubs and outdoor showers built for two, most with a private pool and all with a private terrace and personal butler on hand. 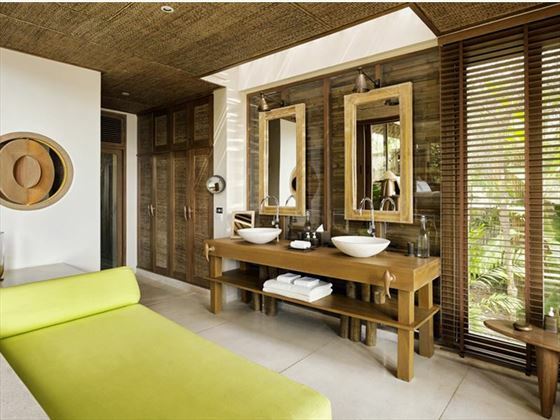 The split level villas are spacious semi open-plan spaces and the interiors are clad in bamboo with polished wooden floors and wooden louvres to filter light. The public areas share a design inspired by the Longhouses of a Thai fishing village – open thatched pavilions without glass to obscure the views and sea breezes instead of air-conditioning. The design is perfectly suited to this heavenly island location. 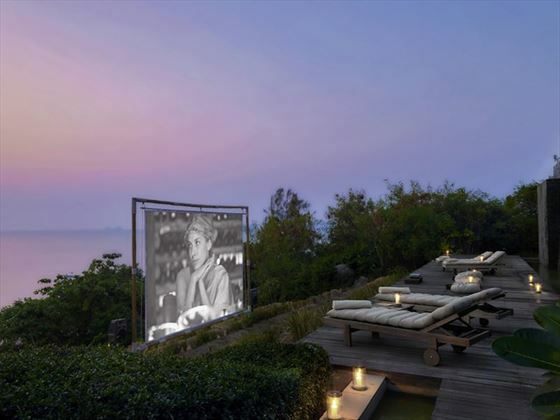 The other distinguishing feature of Six Senses is their lifestyle philosophy – a combination of rejuvenation, indulgence, natural health with a bit of adventure thrown in. 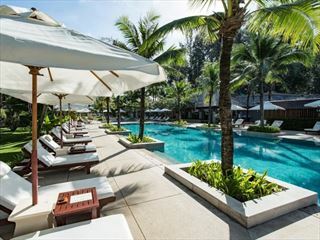 Try sunrise yoga and an amazing array of spa treatments, learn some Thai cooking skills and visit the on-site organic farm, enjoy outdoor Cinema Paradiso with a cocktail and popcorn and then for some adventure, join a speedboat trip to Angthong National Marine Park for some snorkelling and island trekking.